新宿区にある「高麗博物館」へ行ってきました。１１月６日まで、「在日一世　徐元洙さんの82年」という特別展示が行われています。時間のある人は、一度足を運んでみてください。「韓国広場」の真向かいのビル（Korea Plazaが入っている）の７階です。신주쿠구에 있는 "고려 박물관"에 갔다왔습니다. 11월 6일까지 "재일 교포 1세인 서 원수씨의 82년"이라는 특별 기획 전시가 개최되어 있습니다. 시간이 있으시면 한번 찾아 보시죠. 쇼쿠안 도리 "장터" 바로 건너편에 있는 빌딩 (1층에는 "Korea Plaza"가 있는 곳) 7층에 있습니다. 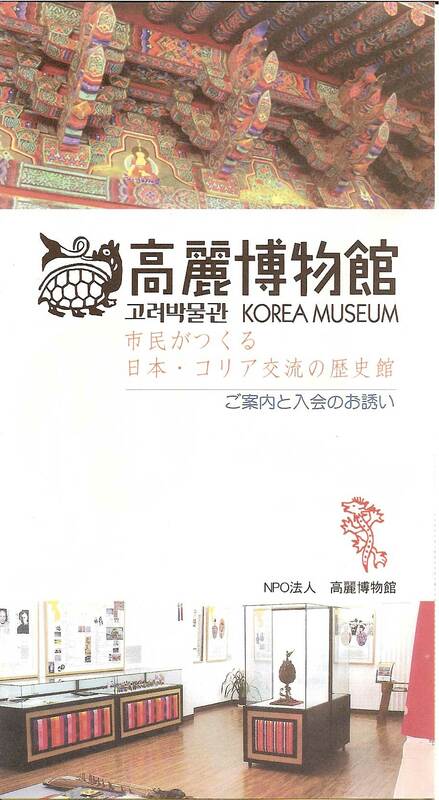 Visited "Korea Museum" in Shinjuku-ku. They are holding a special exbition entitled "The 82 Years of Mr. Seo Won Soo, a 1st Generation Korean Japanese" until November 6th. Take a visit if you have the time to (it's located on the 7th floor of the building right across from "Kankoku Hiroba", or Korean Square in Okubo: on the 1st floor of the building is "Korea Plaza").